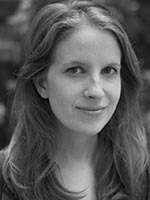 As part of her ongoing research on the role of audience analytics in contemporary news production, Prof. Caitlin Petre wanted to understand why journalists often become addicted to analytics tools that measure the clicks, “likes,” and shares of their articles – even as they also resent the influence of such tools in their newsroom and their work. In an article recently published in Digital Journalism, Prof. Petre examines the discursive strategies and design elements employed by analytics companies to engineer journalists’ consent to analytics-driven labor discipline. These include performing deference to editorial judgment, professing allegiance to journalism’s institutional norms, and providing a habit-forming user experience. Prof. Petre is also developing a project with Brooke Erin Duffy of Cornell University and Emily Hund of the University of Pennsylvania which analyzes instances in which large technology platforms have accused users of engaging in algorithmic manipulation, or “gaming the system.” They find that platform companies engage in normative boundary work to draw (often dubious) distinctions between legitimate visibility-enhancing tactics and illegitimate algorithmic manipulation: attempts at algorithmic manipulation are cast, not only as against platform rules, but also as morally condemnable. Prof. Petre and her collaborators argue that accusations of algorithmic manipulation are an understudied means by which platforms maintain, express, and legitimize their institutional power over content creators.